I like the Film. It´s nice to see Emma in another role^^. its on youtube. i've tried very hard to get through the first 5 minutes but it was hard. ^Howcome you had so much trouble? Personally, to me, I didn't like the film. 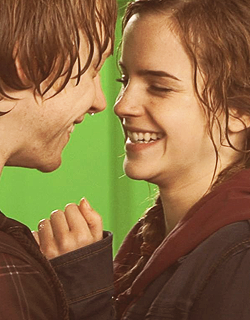 It did show, however, that Emma can in fact act just as good as she did with Hermione Granger in the Harry Potter films. Sadly, though, I did see bits where I thought it was Hermione playing Pauline's character rather than Pauline herself. Other than that faulty it was a good performance of hers, no doubt. And can't wait to see more of her acting skills put to the tests of being in more movies. This ^. It was intresting to see her play someone other than Hermione. I know I'm a male, but I like chick flicks (lol), and really dug this movie. I watch it occasionally, Emma really did some great acting in it. I just loaded it onto my ipod. I might watch it again tonight. I really like that movie. She is totally perfect for the role of Pauline. I wasn't fond of the movie. Emma was wonderful though, but the movie made me feel irritated, don't really know why...everything seemed so...grave to me. i saw the movie a few days ago and i rlly liked it. ive to admit that i hadnt watched it if emma wouldnt take part in it. for me she fits perfectly in her role as pauline and its great to see her in another movie apart from hp. I fell for you and I can't get up. I haven't gotten the chance to watch it yet cause of all my exams that are coming up but I will watch it sometime soon just not yet though. Ballet Shoes was in my opinion the first movie, in wich she really acted. 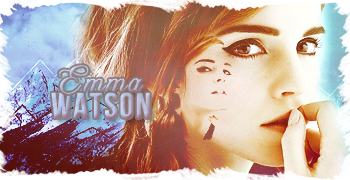 She was not "Hermione", she was a completly different character. She was not "Hermione", she was a completly different character. Ok, for the simple minded comic-user: Emma was not playing Hermione, she WAS Hemione. In Ballet Shoes she had for the first time the oportunity to slip into another character / person.